This entry was posted in Fine Art Photography, Weather and tagged Fife, Lomond Hills, nature, nature photography, photography, Weekly Photographic Challenge, winter, wpc. Bookmark the permalink. Can’t ice be beautiful? This reminds me that I have some similar shots waiting to be posted. Just have to find the right time. Whereabouts in England were you brought up? Ice can be magnificent to work with! I once did a blog post on a disc of ice I turned out of a galvanized bucket one morning on my way to doing chores. 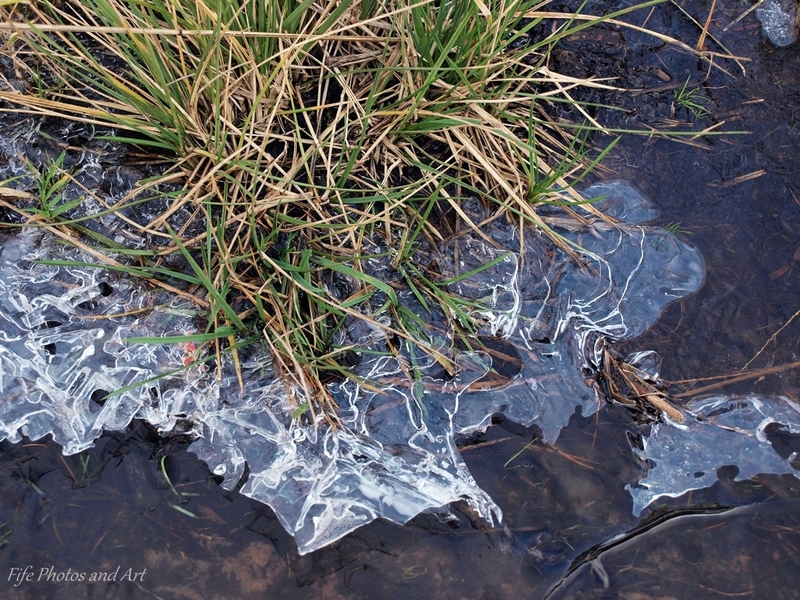 If you research about how ice forms, it’s really quite fascinating! Lovely photos, Andy! Lovely shots Andy. They reminded me of a time when my son was about 7 and we took him to Central Otago one winter. He and my husband spent a very happy morning breaking headstone-sized slabs of ice off a frozen lake and building sculptures with them. It was a beautiful clear day and they had such a good time. I have to admit I had visions of them falling in and having to be rescued. I’m such a mum sometimes. That’s true! I know what you mean though. My 17 year old has recently bought a car … and I thought my sleepless nights were over when he (finally) started sleeping through. I’m trying not to turn into my Mum; but those 3am sessions when I imagine everything that could go wrong …. Oh well. That’s what my mum says … and we’re a wee bit older than that! 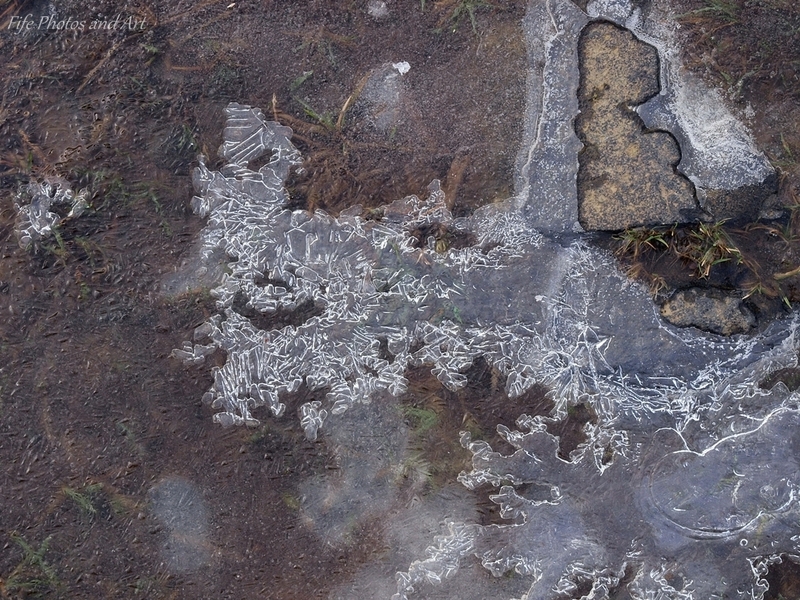 I love ice patterns. Lovely pics. My favourite is the fifth one. 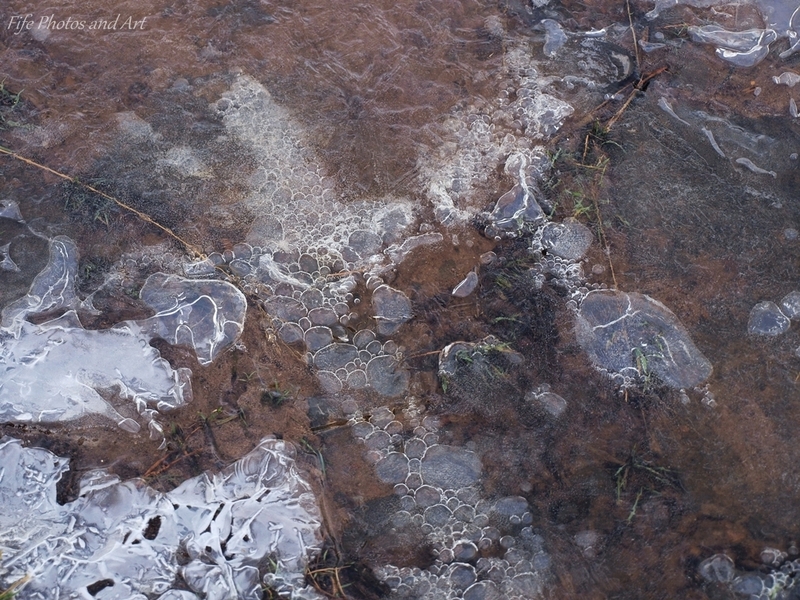 Love the endless variety of patterns that ice makes! 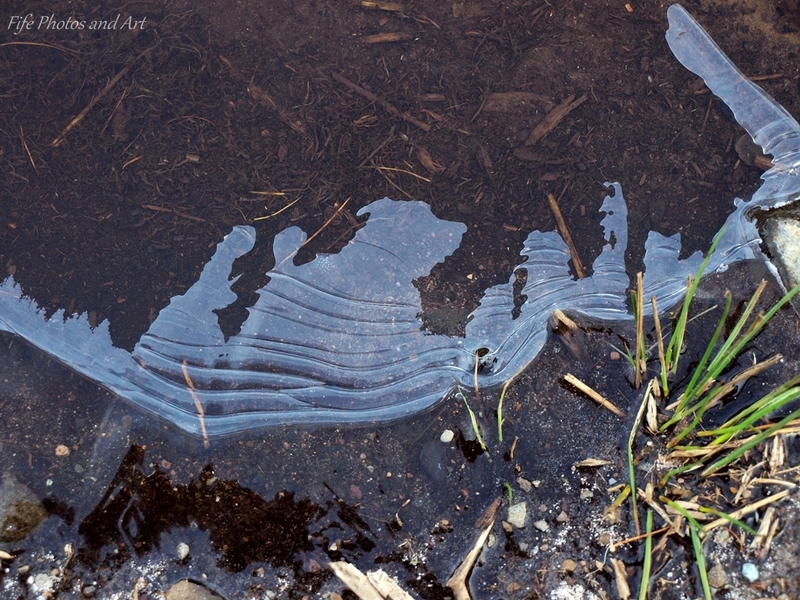 Maybe there will be some more tomorrow – freezing here already. Lovely photos, Andy! It’s beginning to freeze up here as well, I think top temp tomorrow is meant to be 1 degree 🙂 Hopefully I’ll find the time to get out with the camera! This is so pretty Fife! So many different shots and all are lovely! I like the ordinary but it ends up actually being extraordinary! oh yes lots of ice and snow. 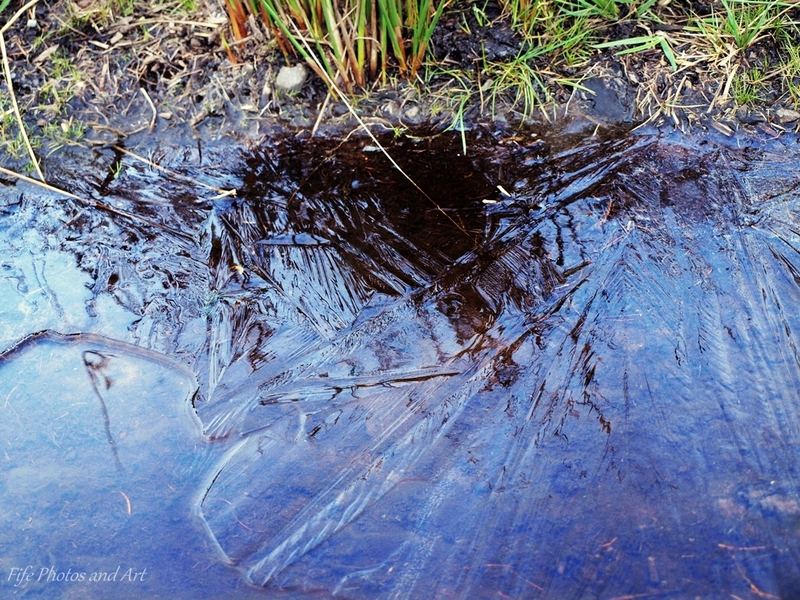 If we get some more ice I will take a photo for you Fife! Thanks Tom 🙂 It certainly is good for us that water is different to many other substances in its physical characteristics!! So beautiful and all so different! 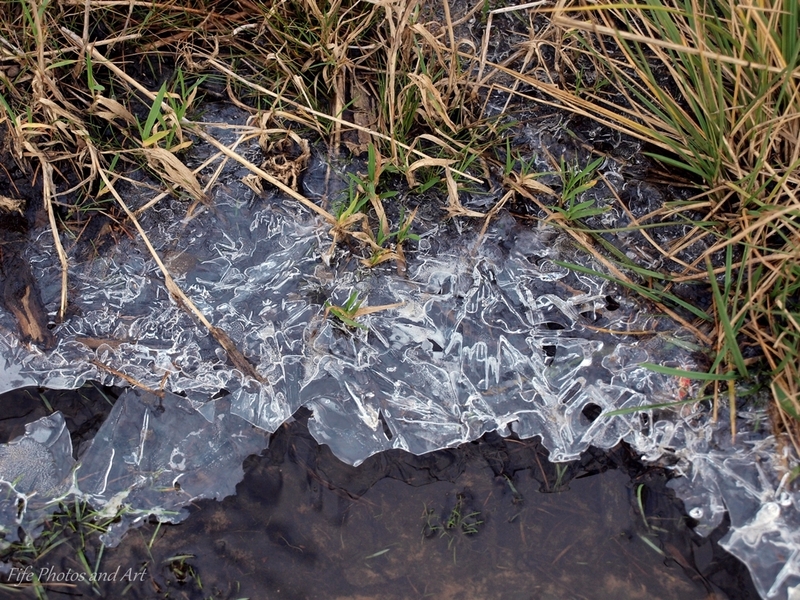 Looks like Jack Frost worked his magic, freezing the ripples and capturing them at just the perfect moment in the “Burn begins to freeze” pic and sparking the crystals in the “Frozen wee burn on Lomonds Hills.” Thanks for sharing your part of the world! Thank you Jean 🙂 I really appreciate your kind comments! Sorry Lynne, I just called you Amanda, my apologies! Thanks Tony, you’re part of the wordpress universe looks quite impressive from the wee bit I’ve seen. I’m looking forward to seeing more of your photos! I’ll look forward to that Tony! Awesome photos. I love them. It must really be fascinating to watch the water freeze like that Andy. Something we don’t see here much. It’s way too warm, even in winter. I bet it is. The only things that freeze here are the freezer and when it’s so hot here I feel I can just get into it and sit there until I am frozen. LOL! LOL!!! I can’t imagine it getting so hot you could climb into the freezer, we are lucky in Scotland, and most of the UK, it never gets unbearably hot, even in the middle of summer, and the heat we do get, is generally a dry heat 🙂 If it gets over 20 degrees C up here, everyone (not me!!) complains that it is too hot! Lol! And I think I would also much prefer the Autumn, Winter & Spring too. What I love about Spring is all the bugs and spiders that come out and luckily this year I didn’t have a struggle with sinus as usual. The menopause must have scared it away. hahaha! LOL! I don’t think I would. My stepbrother had a Scottish girlfriend and when she got angry, her Scottish accent came through and we couldn’t understand a word. LOL! The pictures are beautiful. What caught my eye was calling a stream/creek a ‘burn’. Here in the States that term is not used. However, my maiden name is Washburn. My family believes the name is Welsh and comes from long-ago relatives from living near a creek used for washing clothes. Thank you for giving pictures to a family name. So ‘burn’ is Scottish! That’s very interesting. I’ll have to my family know that we’re most likely not Welsh but Scottish…never too old to learn something new. I really like these. Thank you. Thanks Joycelin 🙂 The ice in the puddles does create some very interesting shapes! I love it when the ice does that. But I am beginning to regret taking these photos, it’s not stopped raining since I took them, no sign of ice or frost! Lol!